Product: Mashers Sekipack 2000ml Round Plastic Disposable Salad/Dessert Bowls with Lids, Pack of 5 was added to cart. 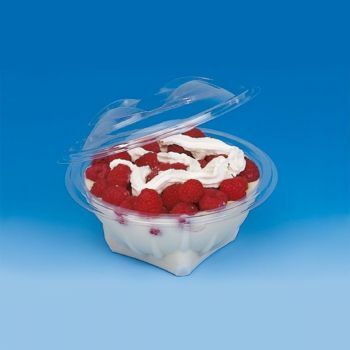 The largest model in Mashers’ best-selling Sekipack Collection, these Round Plastic Disposable Salad/Dessert Bowls with Lids have a huge capacity of 2000ml. Perfect for serving up salads, pasta dishes, trifles, and puddings at family picnics and catered events, they are made from clear food-grade plastics, feature large dome shaped lids, and they are supplied in packs of 5 or cases of 150, making them a great choice for party planners and event organisers. Ideal for summer BBQs, deli style food counters, and buffets, these carry out containers with lids offer exceptional value for money.